Timur is a consultant on strategic management, crisis management, business restructuring and systematization, business acceleration. He is a coach of business owners and top managers. 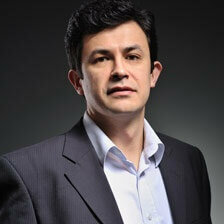 Timur is an expert in strategy, crisis management, business restructuring and systematization, business acceleration. Timur Sarbayev graduated from the Kyiv National University. T. Shevchenko, lawyer, International Management Institute, MBA and PMI (USA) and IFL (Sweden).